(From Contributor Lucy Jones) The art of using the visible features of the land to enhance its appeal and make it look more inviting is what landscaping is all about. Although art seems the dominating factor in landscaping there is lots of science involved in it too. Addressing issues related to enhancing the aesthetics of the place and the privacy aspects of homeowners are the top objectives of landscaping. 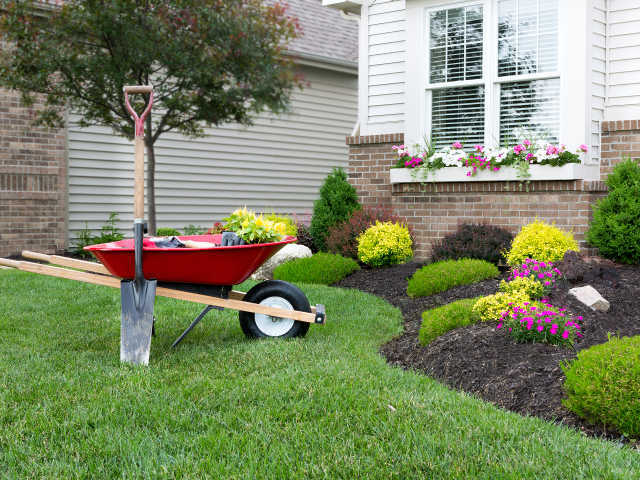 Proper landscaping can cover up the negative elements of the land and make it more attractive. Combining nature and construction with the perfect balance is what you have to achieve for creating a beautifully landscaped yard. Landscaping alleviates the problems of pollution of various kinds and provides a healthy environment that encourages happy living. It makes the place cooler by extracting heat from the soil and cleanses the environmental air to make you breathe easy. According to the experts at King Landscape Company, creating a stress-free environment for a living is the goal of good landscaping. How you could set out in your landscaping project would become clear on reading this article. Consolidate all ideas that crowd your mind regarding landscaping and spend some time at the drawing board to create a plan. Filter through the ideas and select those that align with the broader objective of landscaping. Make a sketch of the fixed structures and open spaces together with trees and plants and work out how much you want to retain and how much you want to change. From driveways to walkways and from pools and gardens to the house and other structures, leave nothing out of the scope of landscaping. Plants and grasses are the most critical elements when drawing a plan for landscaping because you would like to maintain a green environment. Besides planning which type of plants to use, consider its placement so that it does not infringe on your home systems like air conditioning units, gutters, water pipes and the roof. Select plants carefully with an emphasis on local plants as it requires low maintenance and can survive well in the conditions. Good landscaping is about how well you can make use of the available spaces. What you want to achieve through landscaping must be very clear in your mind so that you can create the plan accordingly. To suppress the surrounding noise of passing vehicles, make use of hedges that can muffle the sound and make it bearable. Depending on your family needs, you can plan for space for children to play or have a family get together. The selection of plants would depend on how much sunlight the property receives. Create a map of places that receive good sunlight and that remain in the shade. Plot your plants accordingly so that its growth and survival remain unaffected by the conditions. It ensures that all plants remain healthy. Good understanding of the climate and water availability would ensure that you could implement your landscaping plan without any difficulties.